Graham Robjohns is Chief Executive Officer of Golar LNG Partners L.P. and Seadrill Partners LLC; both marine based MLPs that operate in the LNG marine midstream and the offshore drilling sectors respectively. He has been Chief Executive of Golar LNG Partners since July 2011 and of Seadrill Partners since June 2012. He served as the Chief Financial Officer of Golar LNG Limited from November 2005 until June 2011 and also served as Chief Executive Officer of Golar LNG Management from November 2009 until July 2011. Mr. Robjohns served as Group Financial Controller of Golar LNG from May 2001 to November 2005 and as Chief Accounting Officer from June 2003 until November 2005. He was the Financial Controller of Osprey Maritime (Europe) Ltd from March 2000 to May 2001. 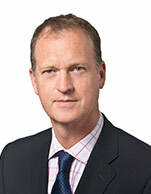 From 1992 to March 2000 he worked for Associated British Foods Plc. and then Case Technology Ltd (Case), both manufacturing businesses, in various financial management positions and as a director of Case. Prior to 1992, Mr. Robjohns worked for PricewaterhouseCoopers in their corporation tax department. He is a member of the Institute of Chartered Accountants in England and Wales.